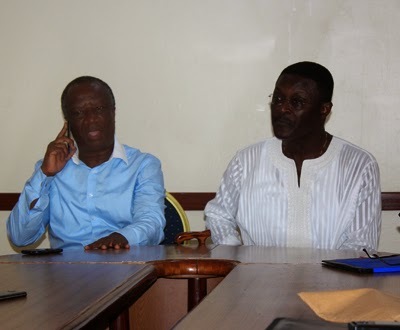 The Audio-Visual Rights Owners Association of Ghana (ARSOG) has signed a memorandum of understanding (MoU) with Big Foot and Alsbridge companies to handle the payment of royalties on behalf of five transport agencies in the country. According to ARSOG, the companies have agreed to pay royalties to them on behalf of five transport operators, namely, VIP, OA Travel and Tour, Imperial Transport, Chisco and K-Transport. “When we started registering the transport agencies, Big Foot and Alsbridge approached us and said they would want to pick up the registering of some of the transport owners and pay for them. The MoU is valid for three years. In return, the companies would place adverts in the films that would be showed onboard the buses,” Ashangbo Akwetey-Kai, Chairman for Anti Piracy and member of ARSOG, told NEWS-ONE. This development follows a directive issued by the Film Producers Association of Ghana (FIPAG) and ARSOG based on the 2005 Copyright Law Act 690 , instructing the transport agencies and commercial bus drivers to pay royalties for showing Ghanaian films onboard their buses. Meanwhile, both ARSOG and FIPAG admitted that some transport agencies and commercial bus drivers who had difficulty understanding the law were not ready to pay the royalties. “We have visited most of the transport agencies in the country and have dialogued with them. Some of them are ready to pay and some don’t want to pay because they have refused to understand the law,” Mr Akwetey-Kai stated.